1) Remove trim bezel from around face of car stereo. 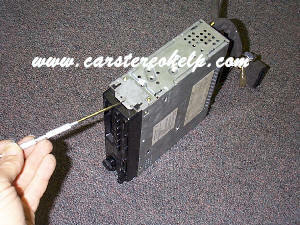 2) Release pins on each side of car stereo by lifting up out of locking mechanism. 3) Pull car stereo from dash. 4) Disconnect antenna and connectors.